In case you missed my video (you can watch it below), I recently tested out a clean, Korean skincare line called Knours, which worked well for my skin. There aren’t many options when it comes to Korean-made, clean (as in “clean” ingredients) skincare, so I wasn’t sure what to expect. I found it to resemble the simple & effective Korean formulations more than the west-made luxury skincare products that I am used to, and my skin looked great throughout the entire time I used the products. brand must follow good manufacturing practices to ensure the safety of their products. One thing that immediately stood out to me is that this is a Korean brand, but the regimen offered is extremely simple and easy to follow. Korean skincare is known for the multiple-step routines that can include up to 10 different products. 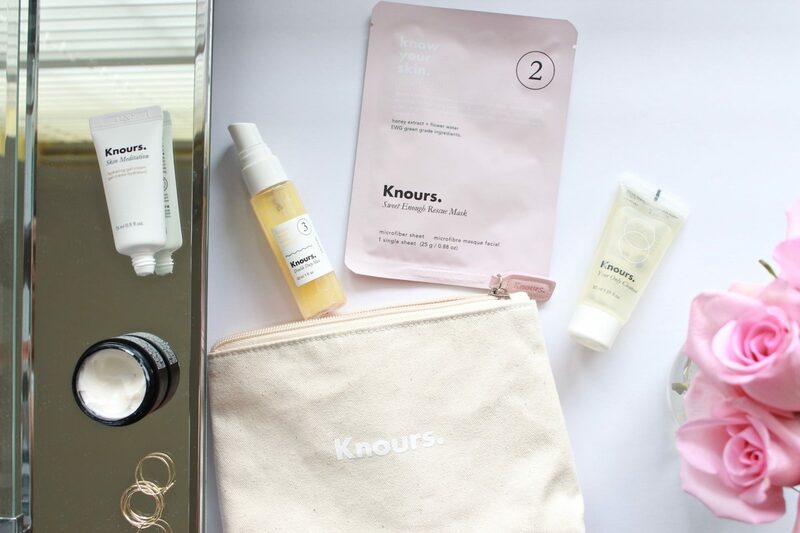 Knours Skincare only includes the basics steps (makeup wipes, cleanser, toner, 2 moisturizers to suit different skin needs, and a sheet mask), yet it gets the job done well. This cleanser is a true multitasker–it’s a cleanser but it also removes makeup effectively–even the stubborn type. It has an oil/gel-like texture, but it emulsifies in contact with water. It rinses off clear without the help of a cloth. It has been working well for my skin, and I have no concerns about it except that it might be dehydrating for already dry skin types. It’s one of the products I purchased when I ran out of the travel-size tube, and I keep it in my current cleanser rotation. If you don’t like following multiple steps when cleansing your skin (as in double-cleansing), you may enjoy this one. The full-size product comes with a pump. This is a gel lotion that is hydrating and has a “cooling” effect on the skin. Though I enjoyed how hydrating and refreshing it feels on the skin, I found it not to be moisturizing enough for my skin during the cold season and plan to give it another try in Spring/Summer. Very oily skin types may enjoy this lightweight gel-cream all year long. This is a simple moisturizing cream that works well and doesn’t feel too heavy. Surprisingly (I typically prefer face oils), I enjoyed this cream and found it comfortable to wear in the daytime under makeup and at night as a moisturizing treatment. It has a very simple formula (not a lot of actives) but it contains Niacinamide, and a water-soluble vitamin (Vitamin B3), which is one of my absolute favorite skincare ingredients. It boosts the hydrating properties of the moisturizer, helps to even out the skin tone, and improves the appearance of fine lines. This hydrating face mist naturally separates into two layers, so you can customize its use. If you shake it, the active ingredients on the bottom give the skin an extra boost of moisture and offer a more soothing effect. The instructions recommend not to shake it if the skin is more sensitive and acne-prone to prevent the actives from stimulating already irritated skin. I have only used it mixed together as recommended for my skin at the time, and I found it mildly hydrating. The only thing I noted that was different from the face mists I have tried is that it dries quickly on the skin. Since the following step in the routine is a moisturizer cream, the mist worked well as a pre-cream step. However, when trying to use it before a face oil, it dried too quickly for me to layer the oil on damp skin as I typically do. You all know that I don’t typically use makeup wipes, and honestly, they remain my least favorite option for cleansing my skin. However, for those late nights when I wish that makeup would magically dissolve from my face so I can go straight to bed, these are fantastic. They are more wet than any other wipe that I have tried, and therefore they don’t feel like they’re dragging the skin. My skin was not left feeling dry, and they are one of my favorite products from the line. I took this kit with me on a short trip, and it worked so well that I ended up getting another one and buying a couple of products in full-size. If you want to try this line, the Starter Kit is definitely the best way to find out how the products work for your skin. Another product that I tried from Knours, which is not included with the Starter Kit is the Sweet Enough Rescue Mask. These sheet masks are where you can really tell that this is a Korea-made line, because they give the skin the glow that is so crucial in Korean skincare. Beside the hydration-boosting ingredients, I love that they included Niacinamide for the reasons I mentioned above. This is my other favorite product from the line, which I purchased immediately after running out of my first set. If you enjoy using sheet masks you’ll definitely enjoy these. One more thing I want to note is that this skincare line is significantly more affordable than most of the products I use and feature. If you have been looking for good skincare that isn’t so expensive, you may be pleased with Knours products. Watch the video below to see all the products I mentioned at work. 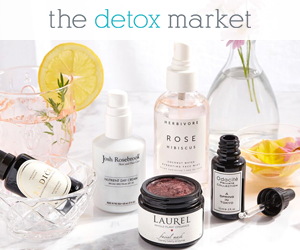 If you want to check out the line, head to their official website here (use code LILLY15 to get 15% off your order) or to Amazon here.